19th September – our outing to the Houses of Parliament was very interesting. The guide gave us an insight into the history and current running and protocol of both houses and reasons why long established procedures are followed. The architecture, rebuilding and art were explained. We had free time at Windsor on the way back. 9th October – a talk was to be given by Jon King on Auctioneering and Valuation, but we discovered that his company had ceased trading so his visit was cancelled. Our entertainment was funny stories and music given by George Fleming. It was immensely enjoyed by members. Our thanks to George for stepping in at relatively short notice. Tuesday 11th December – Christmas lunch at the Barrington Arms Hotel, 12 noon. Entertainment by Ken & Steve. Places are limited to 50 club members so if you have not booked your place yet you may be disappointed. On 11th September a talk and slide show by Ron Hoskins on “Beekeeping”. He explained the work he does creating queens and super bees to help control the varroa mite which was discovered in the UK in 1992. Ron has assisted many local beekeepers in creating special hives, using microscopes and special lenses to study theses mites and producing bees that offer some protection against them. The mite deforms the bees wings and causes hive destruction. A couple of interesting facts: out of 20,000 species of bees only four make honey; the honey bee is the only insect that produce food eaten by man. Many other interesting facts are in a booklet “Pocket Guide to the Honey Bee” available from Ron. See also www.britishbee.org.uk for more information. Tuesday 9 October at 2.00pm in the Village Hall. A talk will be given by Jon King on “Auctioneering and Valuation”. This speaker has been cancelled. We will be entertained by George Fleming. Our Harvest Lunch will be held at Blunsdon House Hotel at 12.00 noon. Tuesday 13 November at 2.00pm in the Village Hall. Tuesday 10th July – a talk was to be given by John Jameson-Davis on “Secrets in Handwriting”, however he did not arrive. This is the first time a speaker or entertainer has failed to turn up; bingo and a chat was a suitable alternative in the circumstances. route to Beaulieu took us through the New Forest. Tuesday 14th August – an afternoon social gathering at the South Marston Hotel. The Cream Tea was a smashing spread with extra scones and tea, as much as we could eat. The staff were exceptionally helpful. Tuesday 11th September: at 2.00pm in the Village Hall. A talk will be given by Ron Hoskins on “Beekeeping”. 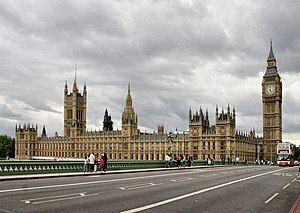 Wednesday 19th September: An outing has been arranged to the Houses of Parliament. The coach will depart from the school at 8.45am, arrive back at South Marston at about 7.00pm. Tuesday 9th October: at 2.00pm in the Village Hall. A talk will be given by Jon King on “Auctioneering and Valuation”. Tuesday 16th October: Our Harvest Lunch will be held at Blunsdon House Hotel at 12.00 noon. On 8th May a talk was given by Jane Clements on “Narrow Boat Art” . 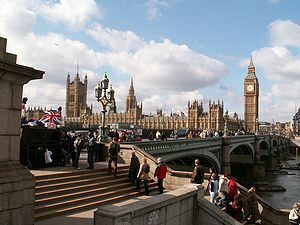 Other parts of the British Isles vary in format and content of pictures but the English generally paint flowers and scenery, portraying a castle, water and a rowing boat. No one is sure how or why the trend of depicting these items started. Jane then showed us how the flowers are painted using oil based paints and boards with the stages of the flower development adding items to each board to reach the finished picture. Her skill was impressive – she made it look so simple with her accurate brush strokes using various size brushes. An important part is getting the paint consistency correct to avoid runs. On 16th May over 40 members/non members went on an outing to Dorchester Market and Weymouth. We enjoyed the large indoor and outdoor markets at Dorchester with plenty of bargains to be had. Then on to Weymouth on new roads especially built for the Olympic Games. The sea front, clock and statues had also been given a fresh coat of paint and spring clean and the bridge was closed for refurbishment, all to be ready for the big event. Tuesday 12th June – 2.00pm, Village Hall. Our AGM followed by entertainment by Rose Little and Mervyn Penny. Leave from the village school at 9.30am, back at South Marston at 7.00pm. Tuesday 10th July – 2.00pm, Village Hall. A talk by “John Jameson-Davis” on “Secrets in handwriting”. Tuesday 17th July – Outing to Beaulieu Motor Museum, House & Garden, via the New Forest. Cost to members £28.00, non-members £32.00, includes entrance to all attractions. Leave from the village school at 9.30am, back at 7.00pm. ***There are places available for the Chelsea and Beaulieu trips, if you are interested contact Josie on 828080. Our annual holiday this year is to the Isle of Wight with Barnes Coaches staying at Warner Bembridge Coast Hotel for 4 nights departing on the Monday 24th September and returning Friday 28th September. This will include the ferry and various trips around the Island during our stay, all for £299 per person. Anyone who would like to join us will be made very welcome. Please contact Sheila 828545. A talk was given by Col (Paddy) Verdon on “A Debt of Honour” which told the story of the Gurkha’s and the work of the Gurkha Welfare Trust. The talk started by saying how the First Gurkha regiment was formed. The Gurkhas were a formidable force they put up such good resistance in early campaigns against the British that after their defeat the British Army recruited them as a regiment in the British Army and they have been loyal ever since taking part in action throughout the world in many war theatres including the First and Second World wars. No Social Security or National Health Services are available in Nepal for returning retired soldiers. They rely on the Gurkha Welfare Trust to supply a pension for them which fortunately are passed on to widows. The Trust works with other welfare organisation to ensure a decent quality of life for retired soldiers living in Nepal. The Friendly Club – Future Events. Tuesday 10th April 2012 at 2.00pm in the Village Hall. Outing to Adam Henson’s Cotswold Farm Park in the Cotswolds. Departure is from outside the school at 9.30am. Return to South Marston is approx. 3.30 pm. Tuesday 8th May 2012 at 2.00pm in the Village Hall. Trip to Beaulieu Motor Museum, House and Garden travelling through the New Forest. Leaving from the outside the village school at 9.30 pm arrival back at South Marston at 7.00pm. There are places available for members and non-members to join this outing. If you are interested in this trip contact Brian 826243 or Josie 828080 to reserve a place. 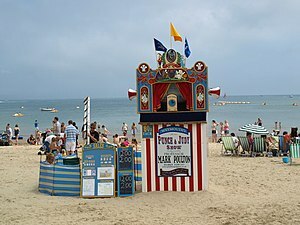 Tuesday 14th February – a talk was given by Alix Booth on “The history of Punch and Judy” It proved to be a very entertaining talk going through the history of how Punch started and its development throughout the centuries. It was influenced by the way the people lived and the political scene. The more violent interpretations of the earlier years and its replication in shows have been toned down to suit present day attitudes. In her show performance Alix has new puppets of modern day government politicians to slant the content too current times. Tuesday 13th March, 2.00pm, Village Hall. A talk will be given by Col (Paddy) Vernon on “A Debt of Honour” which tells the story of the Gurkha’s and the work of the Gurkha Welfare Trust. This is a change to the previously listed talk due to speaker cancellation. Tuesday 10th April, 2.00pm, Village Hall.